Site service visits are carried out to meet legal and customer requirements. Rochester Midland has a comprehensive on line reporting system which negates the need for paper records and makes all documentation available at the click of a mouse. The system can issue e-mail alerts whenever out of specification results are logged by our staff or yours and used to collate trend reports on all aspects of your water treatment. Rochester Midland have partnered with some of the largest laboratories in the UK to provide a sampling and analysis service. Whatever requirements you have, be it Legionella Screening, Pseudomonas or whether just a general viable count, Rochester Midland have the capability to sample your system and ensure it is analysed as per legislative requirements. Legionella Screening is carried out using sampling methods compliant with BS 7592 (2008) and using independent NAMAS/UKAS accredited laboratories. We have a team of dedicated trained risk assessors. They carry out detailed full site surveys and assessments based on a scoring system. Comprehensive documented site assessments are produced incorporating schematic drawings and an easily accessed executive summary and actions required sign off list. Surveys are carried out and documents produced as per the requirements in both HSC L8 and BS8580:2010. It is a requirement that many new private water supply pipes are commissioned before they are connected to mains water services. 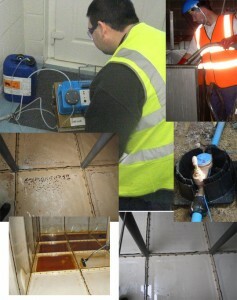 Rochester Midland can provide mains disinfection services to BS8558 and sampling of new and existing mains pipework. 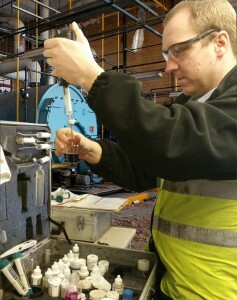 We can undertake partial or complete building mains disinfection prior to connection and handover. As part of compliance to HSC L8: HSG274, the HSE recommends regular inspection of water storage tanks, calorifiers and cooling systems and to clean and disinfect them if necessary. Rochester Midland are able to support our customers in this area with our Water Services Division. The staff in this field, are highly trained and qualified to carry out cleaning of Cooling Towers, Process Tanks, Cold Water Storage Tanks, Calorifiers and subsequent downstream services. HSC L8 recommends the regular cleaning and disinfection of evaporative cooling systems. Other domestic systems such as water storage tanks, a clean and disinfection is only necessary if routine inspection shows it to be required. However you may decide to clean and disinfect your water systems annually as part of your maintenance program. 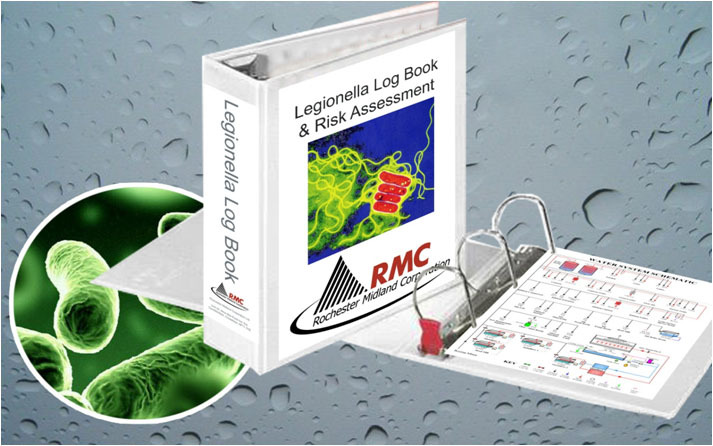 •The history and background of Legionella. •Regulation & Responsibility under L8 / HSG274 Parts 1-3. •Hot & Cold Water Systems. •The course finishes off with a short test to wrap things up. 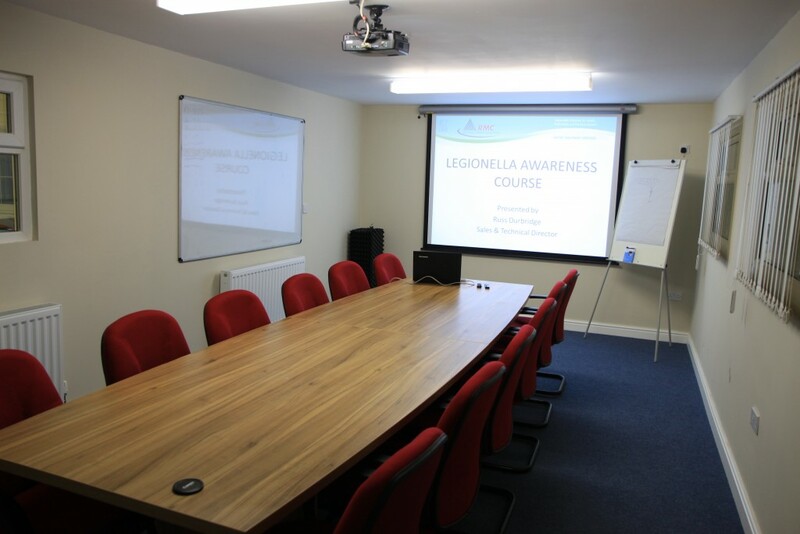 The course venue is dependant on customer requirements and can be held on their premises or in the training room at our head office. Upon completion, a “Certificate of Training and Continuing Professional Development” is issued to the delegate.